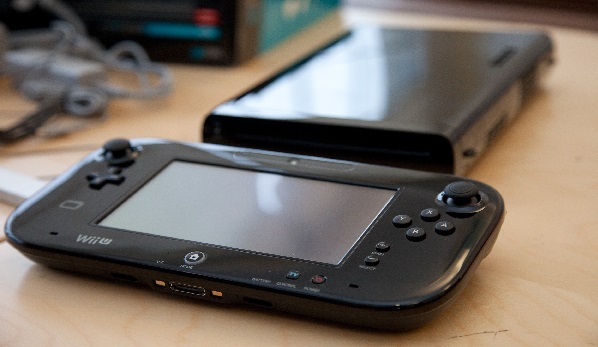 The Wii U is still chugging along slowly while the Nintendo 3DS continues to be a beast on the handheld front against competitor the PlayStation Vita. In the midst of dealing sales and developing titles, Nintendo found the time to deliver their weekly dosage of news for Nintendo fans. Today was a big day for announcements on the Nintendo 3DS and Wii U. Via their Nintendo Direct news stream the company announced that several titles would be coming to console and handheld tandem as early as next month. The 3DS will be getting a new Legend of Zelda title that will be set in the world of The Legend of Zelda: A Link to the Past, a SNES classic. Even earlier will be the Gameboy Color titles The Legend of Zelda: Oracle of Ages and Oracle of Seasons coming to the eShop on May 30th. There will be new Yoshi’s Island and Mario Party titles for the 3DS this year. Next year will see Bravely Default: Flying Fairy and Professor Layton and the Azran Legacy hitting North America. Level-5 returns with Guild02 which will be hitting the eShop soon. July 16th will see the brand spanking new Shin Megami Tensei 4 in North America and June 23rd will see Game & Wario on 3DS as well. This big Nintendo summer wouldn’t be complete without a new entry in the Mario & Luigi handheld RPG series with Mario & Luigi: Dream Team arriving August 11th while the Wii U will see the long awaited Pikmin 3 on August 4th. Pikmin 3 will be later than expected, but it’s getting to the party all the same. The Wii U hasn’t been left out for the spring with a new update next week and SNES RPG classic Earthbound hitting the console. Hopefully that means that Nintendo will be bringing over the rest of the series—which many have mostly likely played by now if you know what Earthbound is. There will also be the New Super Luigi U DLC for New Super Mario Bros. U coming this summer as part of the “Year of Luigi”. Animal Crossing 3DS—which will be released soon—will be seeing a bundle for 3DS XL. Topping everything off at the most recent, May 9th will see Mario and Donkey Kong: Minis on the Move coming to the 3DS eShop. Needless to say, these are some pretty big announcements from Nintendo especially a new, top-down Legend of Zelda title. Of course some of these are so big that they really should’ve been reserved for E3. This could lead one to think that Nintendo has something behemoth in size in the wings for June. Let’s just hope Reggie is ready.